How do you do most of your reading? When it comes to books, I prefer reading paperbacks to any other format. I always have. There's something tangible that delights the senses when one picks up a tome - a light brick containing a wholeness of someone's dreams, ideas and thoughts. It's someone's mind - a piece of timeless eternity - captured in paper, and it's tangible! Audiobooks are my second preference; especially when driving. A good audiobook is sometimes better than the real thing. I highly recommend the audiobook version of The Secret Race and Stephen King's On Writing [the latter narrated by the author]. And what could be better than the author himself [or herself] narrating their narrative in their own voice? 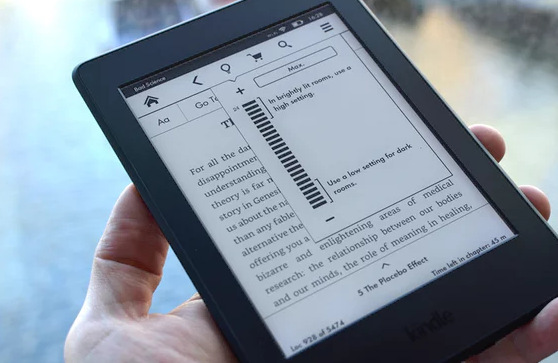 It may seem strange that a writer of ebooks would not choose the print format, especially since intuitively and practically I prefer the print format. So why are my 50 books on Amazon all ebooks? [Actually two are available as print on demand books]. 3. Ebooks are also environmentally friendly and sustainable. No trees are chopped down to print a single book, zero emissions or gasoline are produced or consumed downloading the book to your device. No books need to be shipped, or carried onto a plane. To be honest, when I was first confronted with the idea of an ebook I balked. I suppose I balked because I don't own a Kindle [and still don't], and I didn't know anyone who did [that's subsequently changed]. the sales of Kindle devices stood at roughly 20 million in 2013, bringing about $3.9 billion in revenues. Although those are huge numbers, compared to total books sold it's still a small though growing fraction. One thing I've learnt since I've been in this game is that you don't need to own a Kindle or any eReader, you can read an ebook on your computer, iPad, laptop or smartphone. 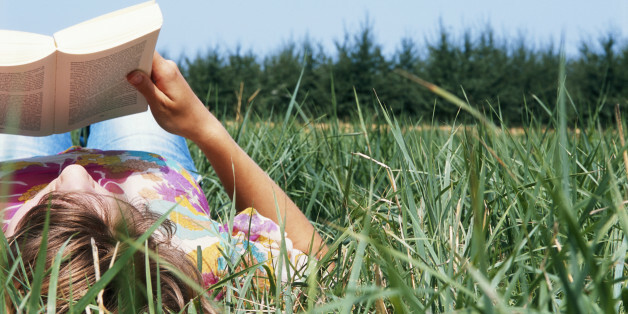 How do you do most of your reading? Forget books, reading in general - on what platform do you do it? Mine is my PC, a certain amount on my notebook and some on my phone. In other words, most of my reading is online/digital, and I'm guessing most of yours is too. I prefer my large monitor screen to the smaller confines of my phone, although some people use their phones for most of their digital thrills. That's the point I want to stress though is although most of us [me included] like to read books in paperback form, most of us do most of our reading [that includes you] online. You're reading this online, you read most of your news online too. Print as we all know is getting smaller, digital is growing. And yes, digital is growing at the expense of print as more people migrate to digital platforms. 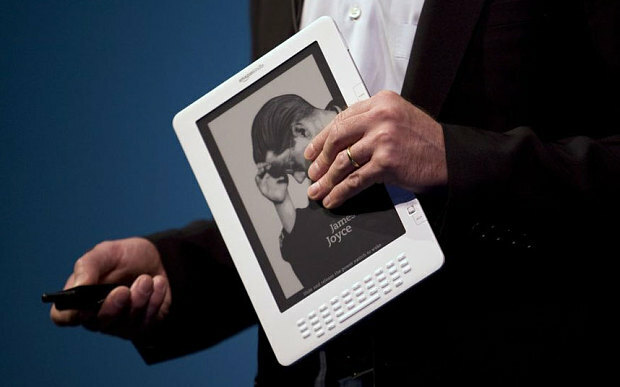 The most-used device for reading an ebook is a personal computer (47%). Amazon Kindle is number two (32%), followed by Apple's iPhone and iPod Touch (21%). Since I started writing ebooks, I've bought a few ebooks and read them all on my computer. What's nice about ebooks is you get them immediately. Sometimes you want them immediately, right? I still order print books on Amazon but - especially in South Africa - the delivery fees are exorbitant, and the delivery time is sometimes unfathomably long. But no matter where you buy your print books they're going to require some time for someone to get into the car to get them, or bring them to you. Why wait? Why pay for the wait as well? 19.5%: The proportion of all books sold in the U.S. that are Kindle titles. E-books now make up around 30% of all book sales, and Amazon has a 65% share within that category, with Apple AAPL -0.59% and Barnes &Noble NE -2.53% accounting for most of the balance. 1. There's a lot less red tape, which means the process of writing and publishing is much quicker. This also improves the ability of the publication to come out at short notice when the zeitgeist is just right. 2. You get a bigger cut. Amazon takes 30% of what you earn compared to book publishers who typically take 90%. 3. Cost cutting. 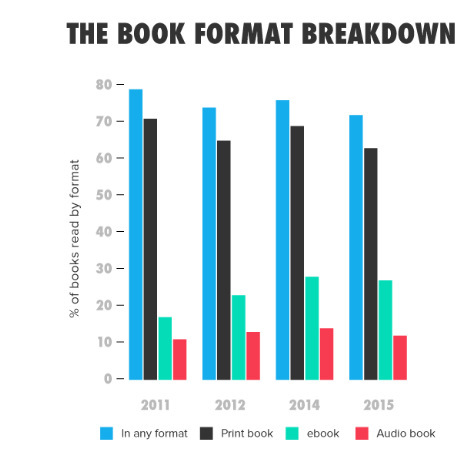 There are no print overruns or out of print headaches in ebooks. There are no restrictions in terms of output. You write the book, people can order as many as they like in the digital format. 5. They can be interactive - and my books are. This is the best kept secret of ebooks. No longer does a reader guess what the writer is thinking, the writer can further illustrate or reference thoughts and ideas using hyperlinks. In my books I even provide links to music and movies to provide an emotional link to where the narrative is coming from thematically. As an author there are also downsides to the ebook. 1. Credibility. In a sense painting is seen as "real art" whereas photography isn't. And there is some justification to that view. I'm not sure the same applies to the same narrative published on paper compared to the digital version. One could argue any self-published work hasn't been validated by an external source, but my validators are readers who consistently pay for and review my work. So much so I'm able to earn a living from it. 2. Visibility. Books in a bookstore have something - a mystique - that ebooks simply don't have. 3. Ease of use - in the same way not everyone is on Facebook, not everyone is registered with Amazon, has or uses a credit card, and is necessarily a netizen. So what is the future? Ebooks seem to be on the rise, as digital in general eats further and further, increment by increment, into the traditional porridge of print. Young people are a vital new market, and one that consumes virtually all their media online, yes, including books. 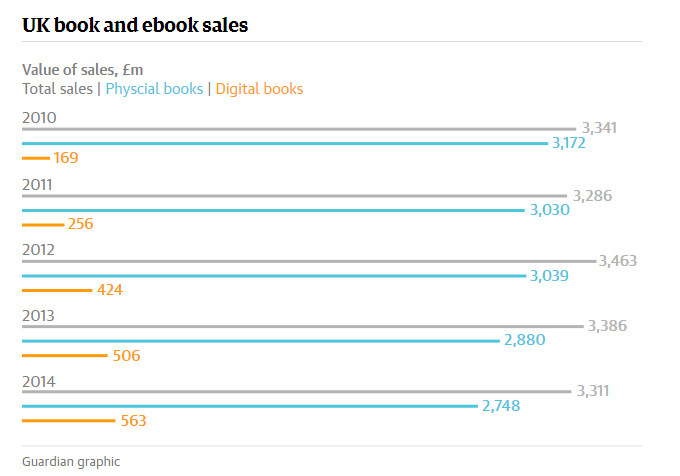 For the youth market on the one hand, and a growing number of silver surfers [who do not wish to go out and buy books] on the other, ebooks are cool. For busy professionals [doctors, lawyers, researchers, writers] ebooks are not only not passé, they're preferable.